I must say I was a little disappointed with this book. I bought it because I really liked a Midnight Louie story I happened to read: the protagonist's sardonic voice reminds one of Humphrey Bogart and the hard-boiled American private eye. 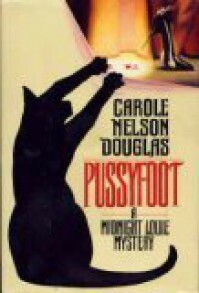 In this novel also, Ms. Douglas's writing is as good as ever, but the mystery leaves much to be desired. And Louie's involvement is only marginal - he is more interested in running after the "divine" Yvette than solving mysteries! I rate this book somewhere between 2 and 3 stars.